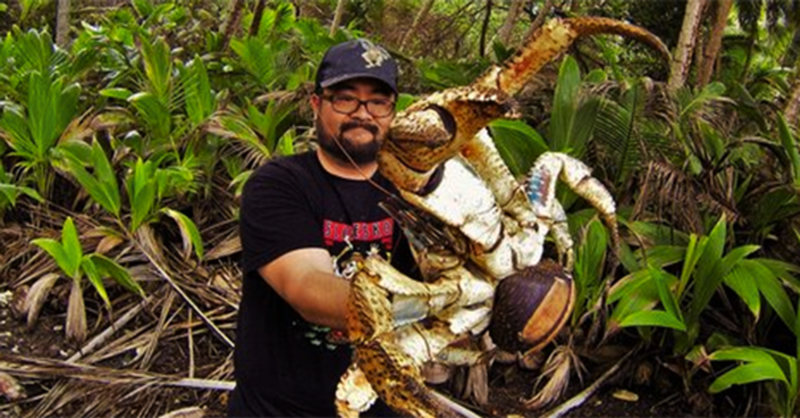 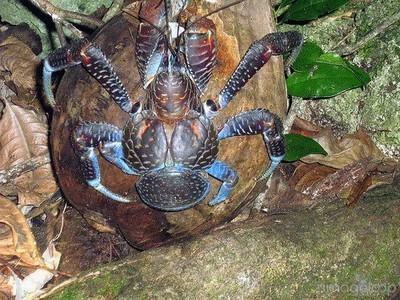 The body of the coconut crab is, like that of all decapods, divided into a front section (cephalothorax), which has 10 legs, and an abdomen. 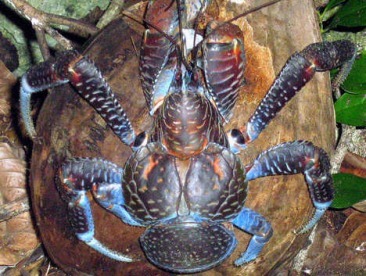 The front-most pair of legs has large chelae (claws), with the left being larger than the right. 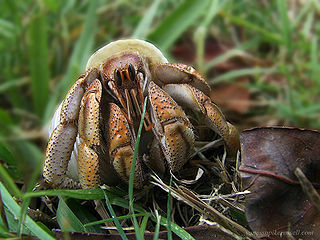 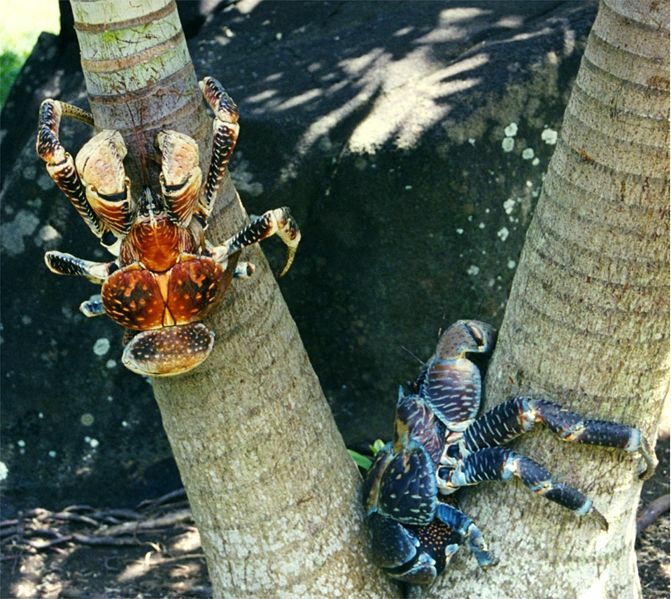 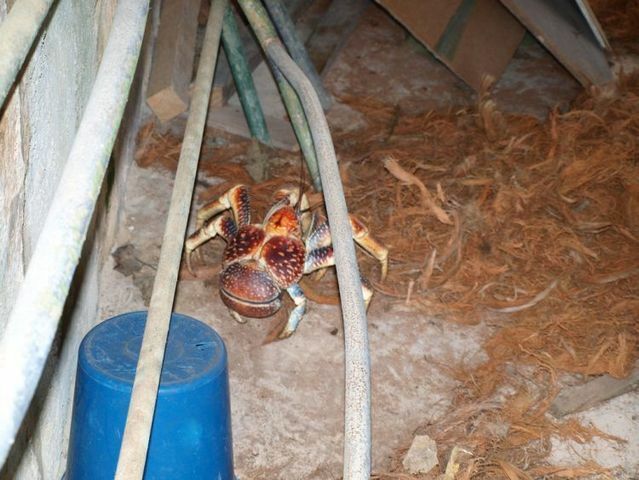 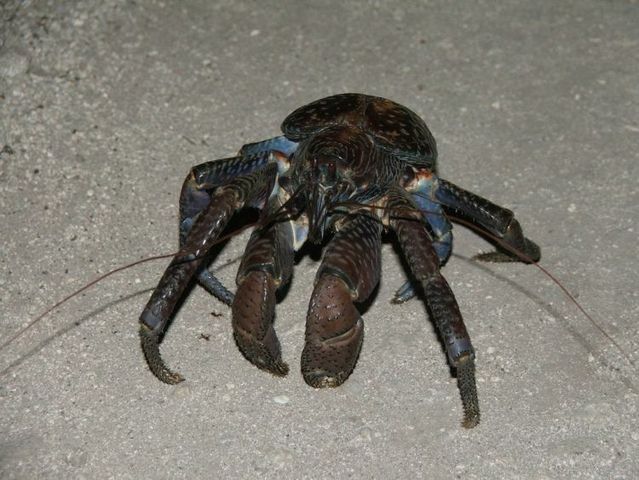 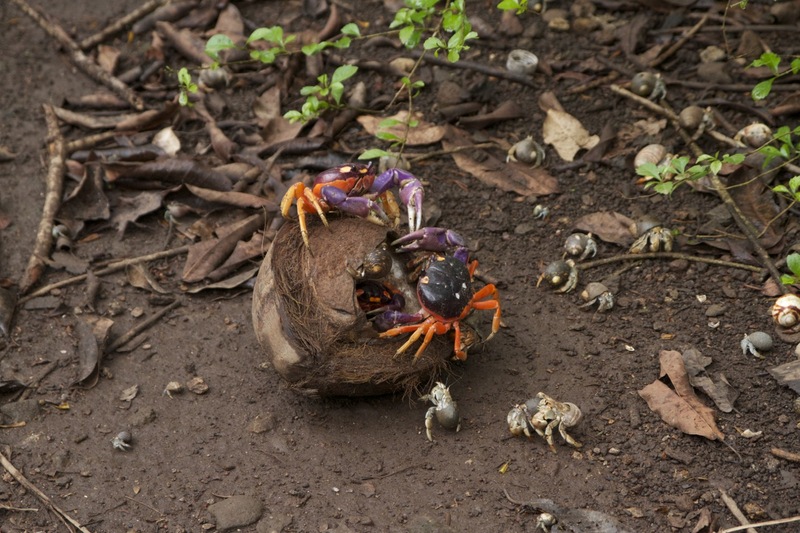 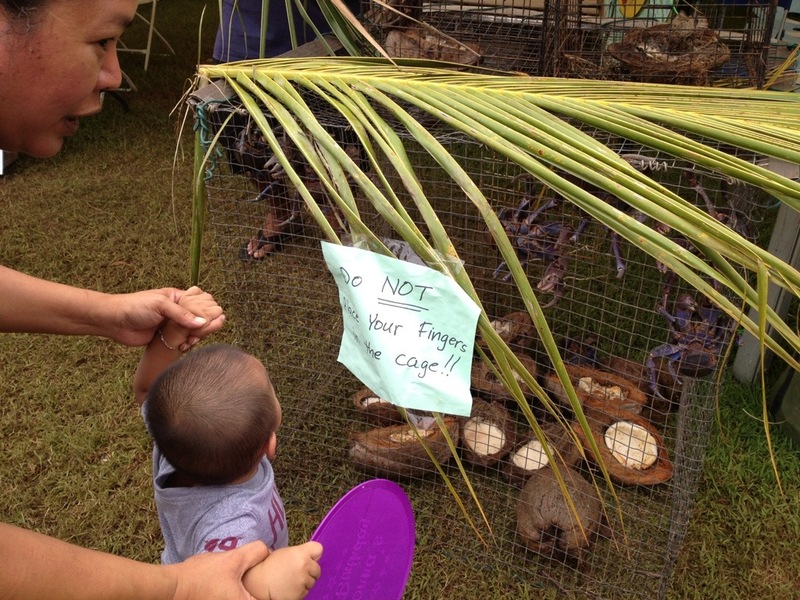 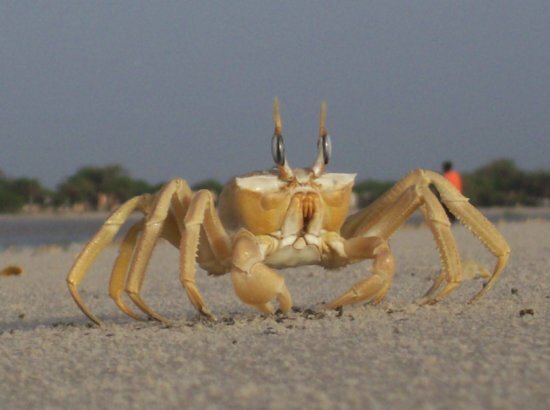 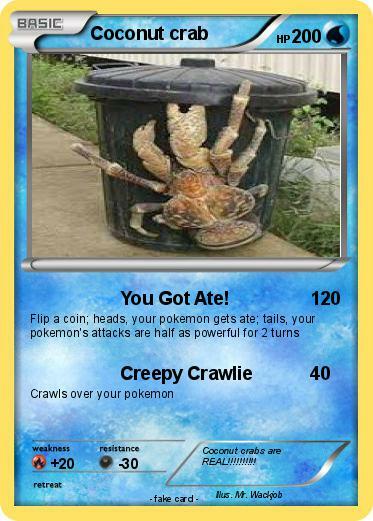 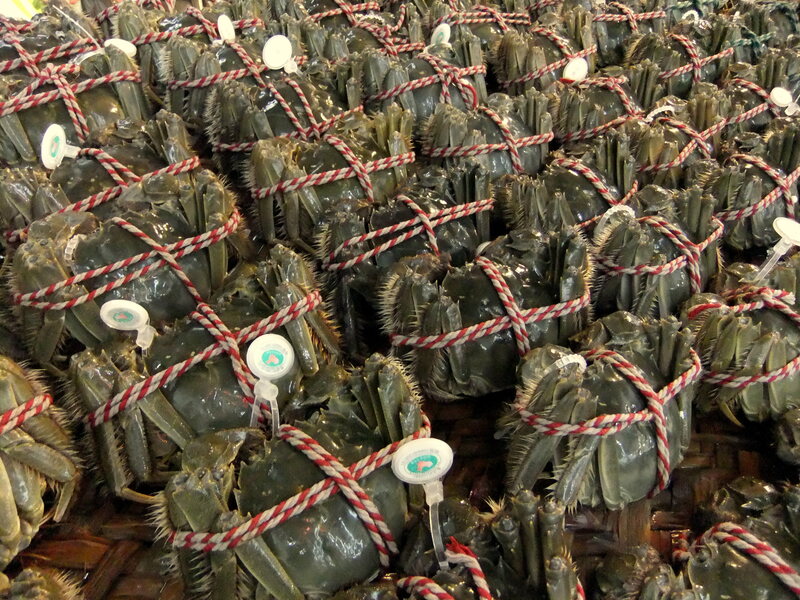 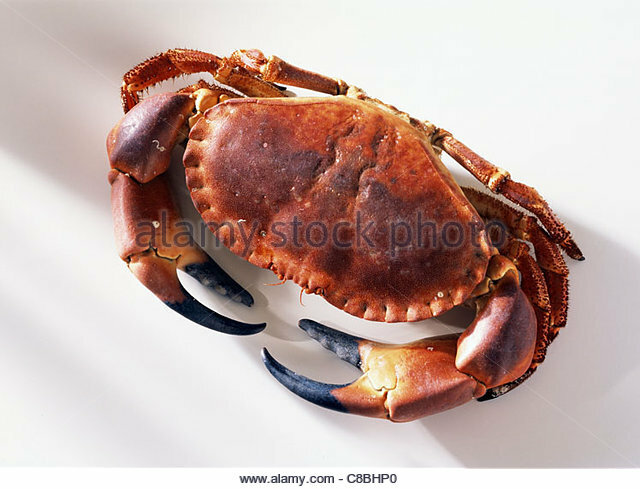 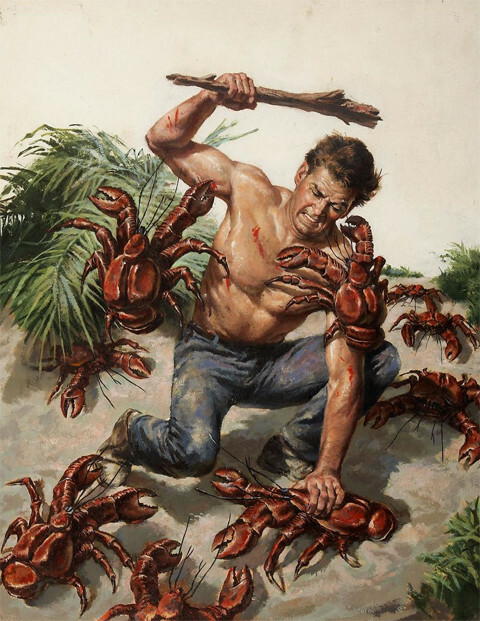 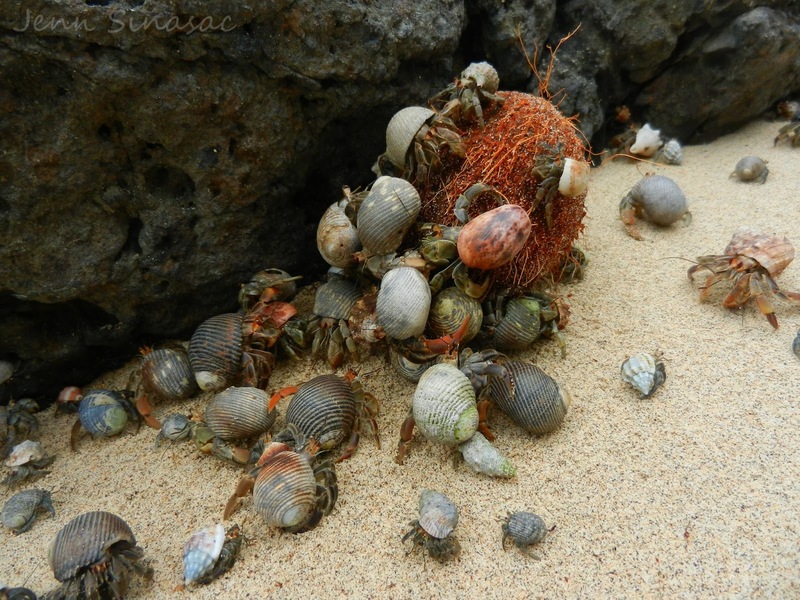 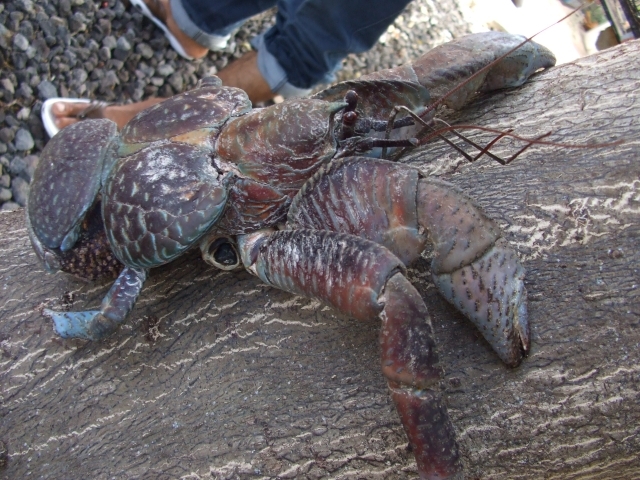 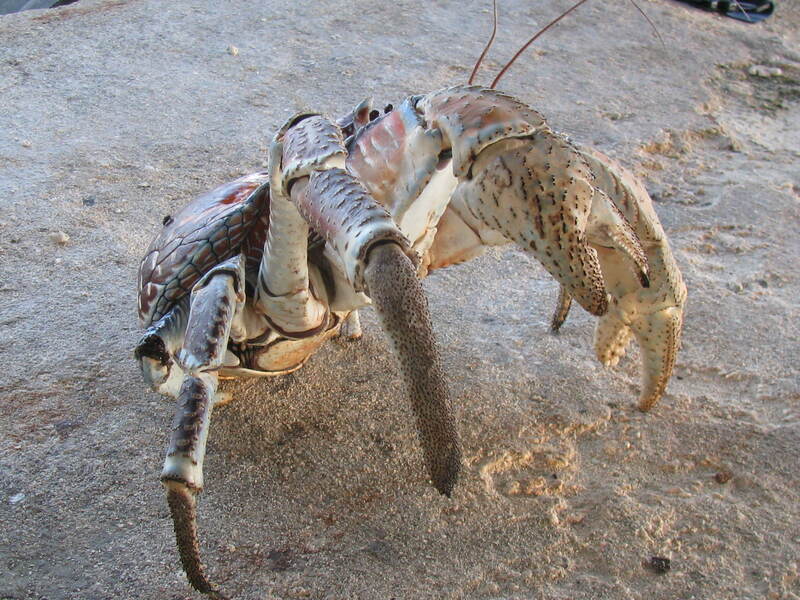 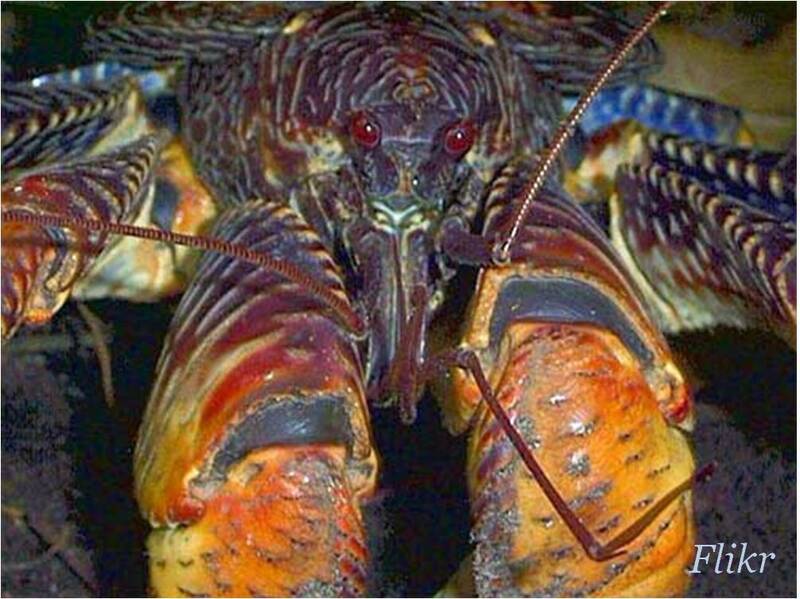 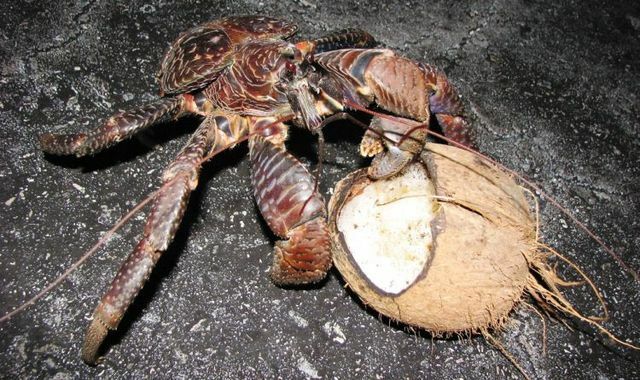 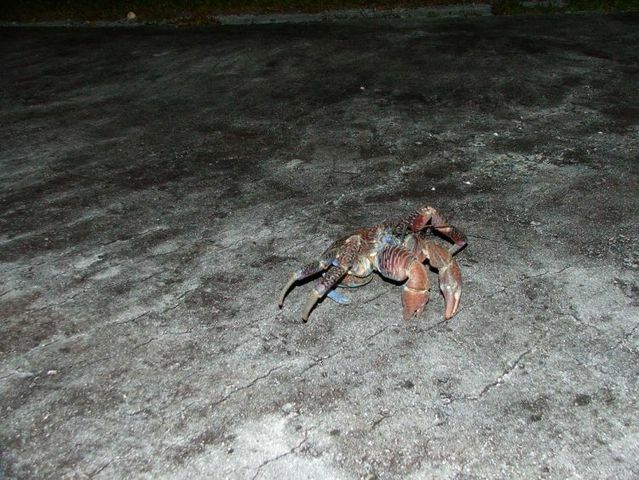 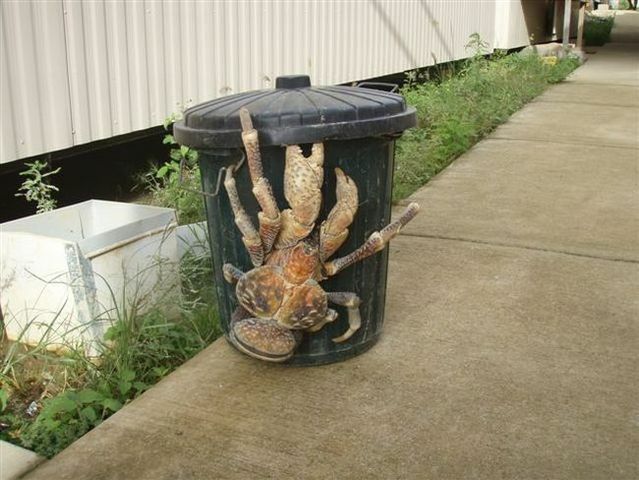 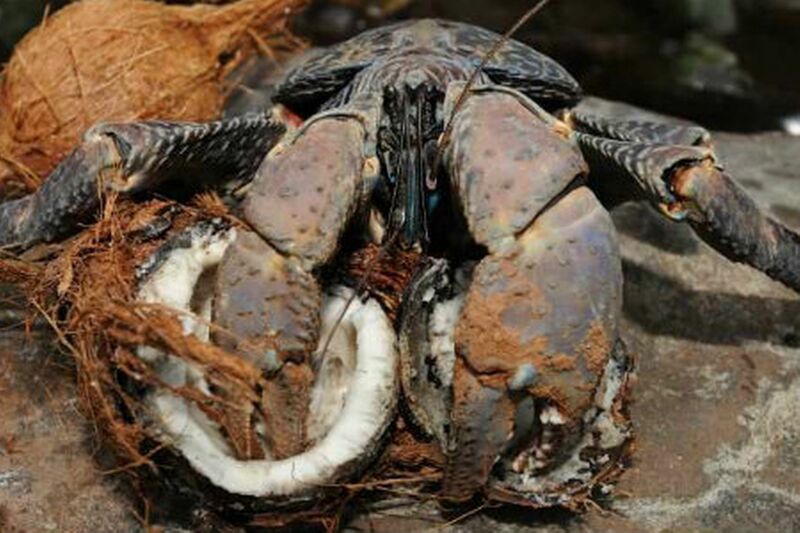 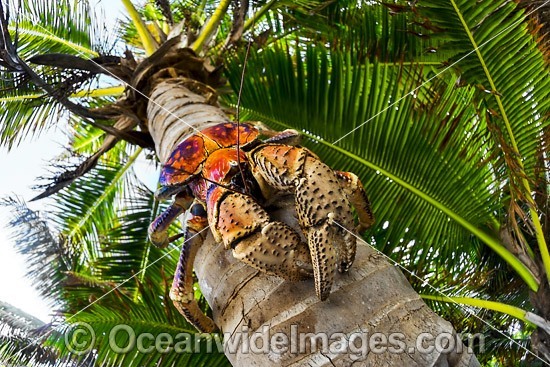 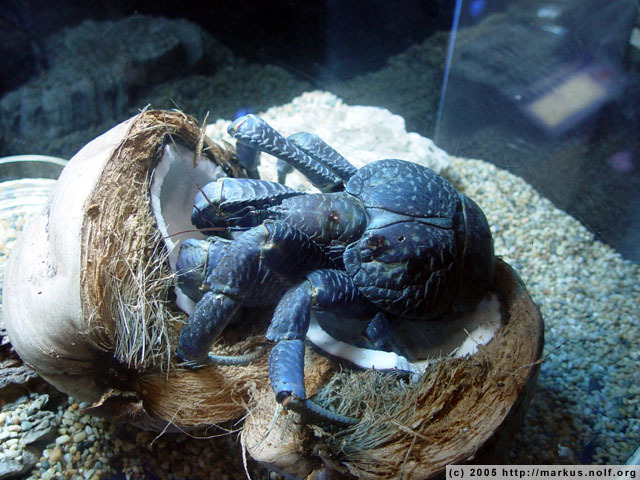 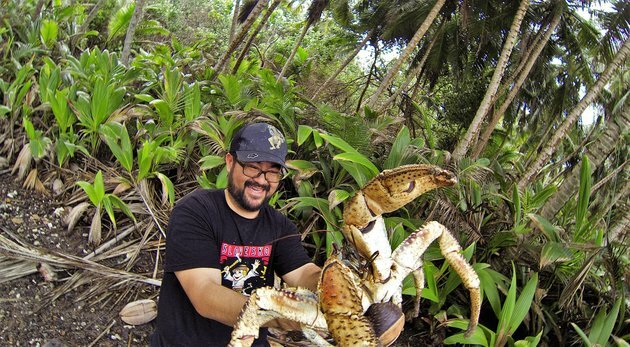 The next two pairs, as with other hermit crabs, are large, powerful walking legs with pointed tips, which allow coconut crabs to climb vertical or overhanging surfaces. 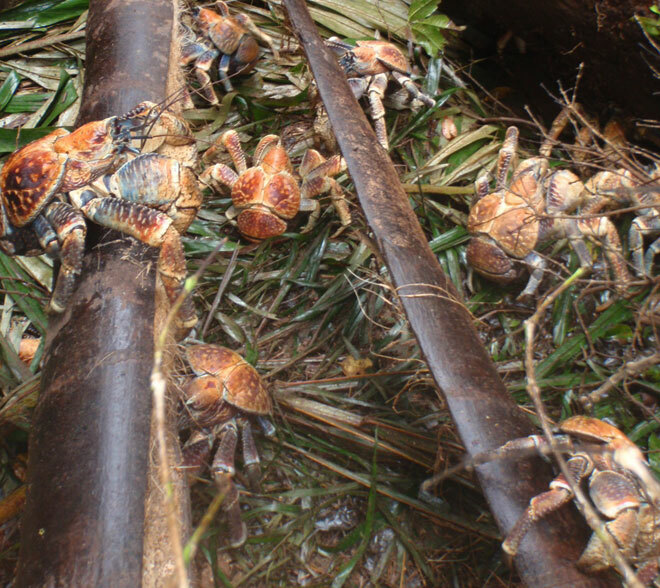 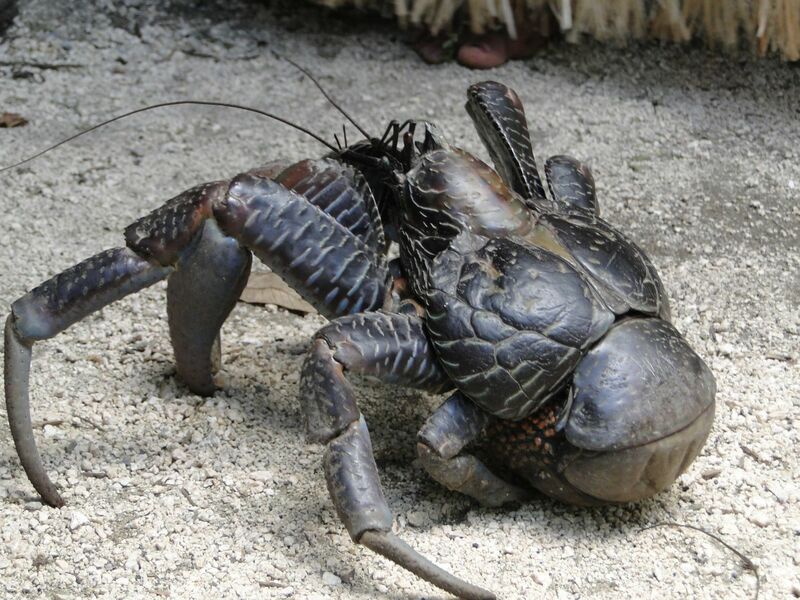 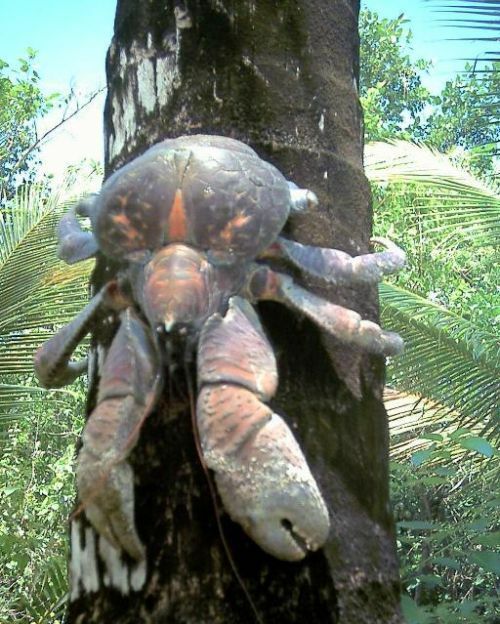 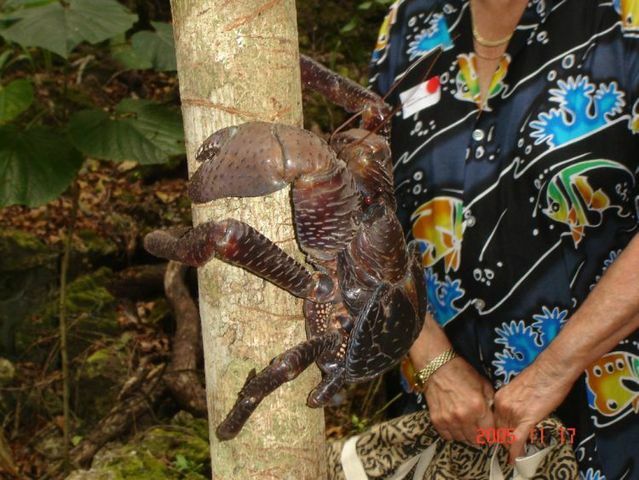 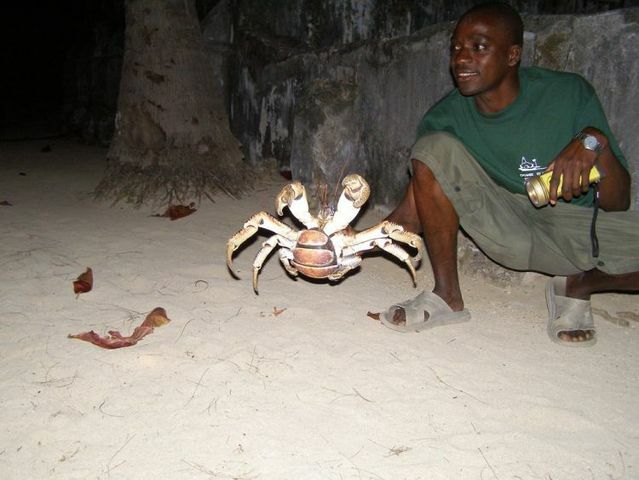 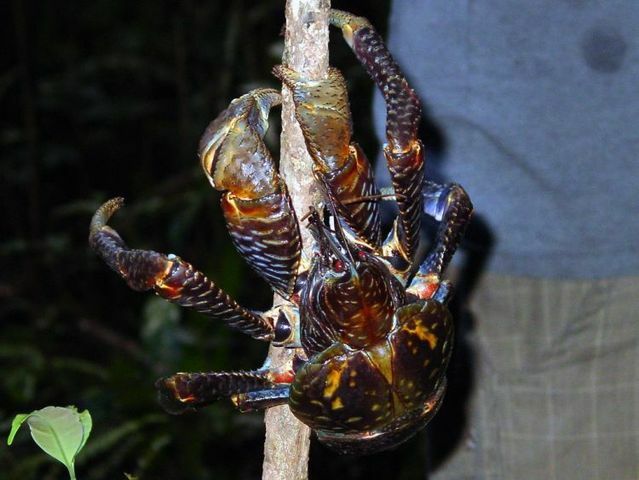 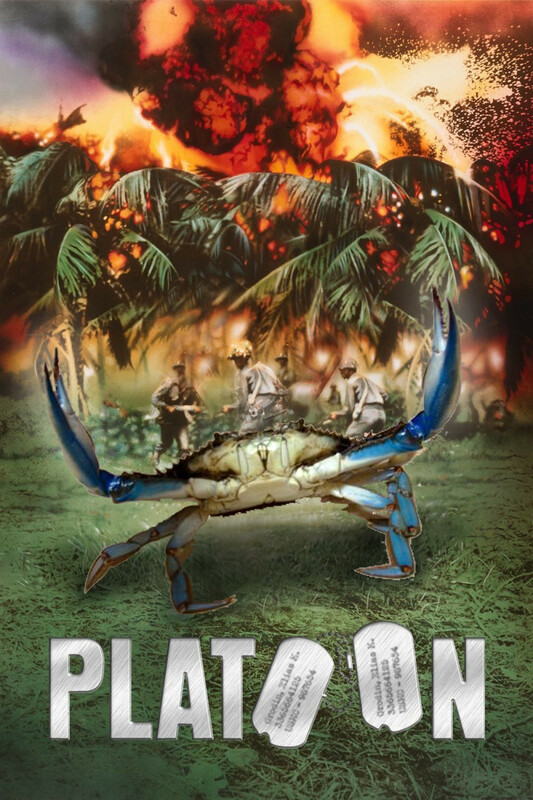 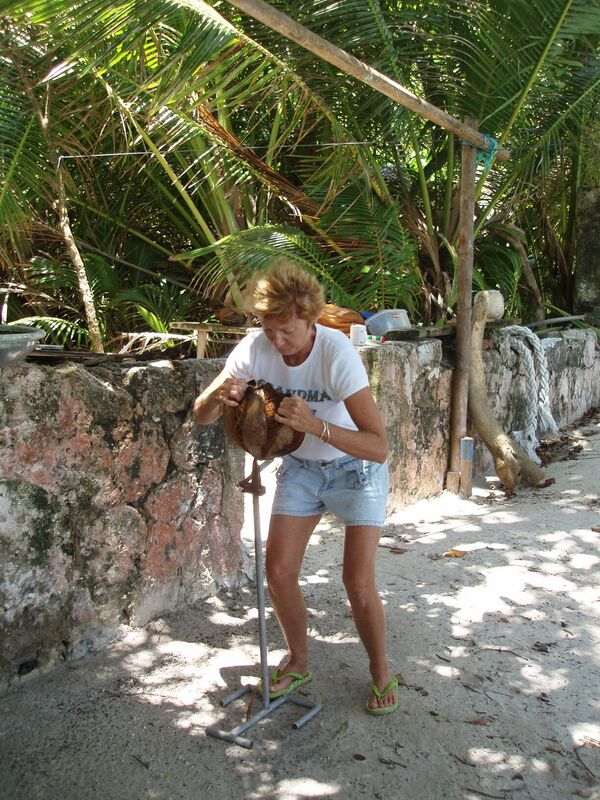 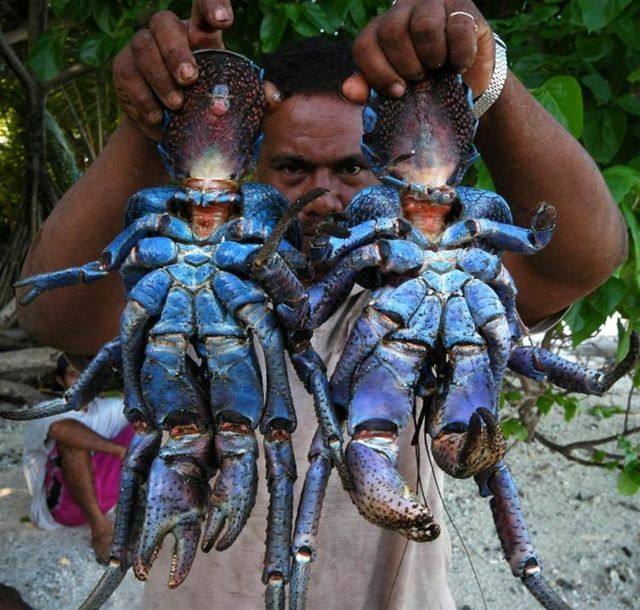 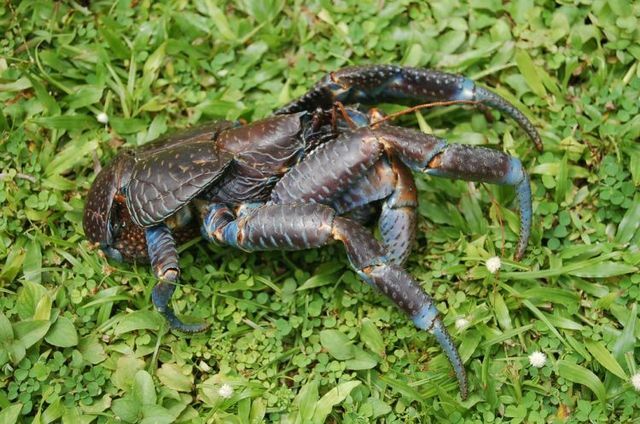 The fourth pair of legs is smaller with tweezer-like chelae at the end, allowing young coconut crabs to grip the inside of a shell or coconut husk to carry for protection; adults use this pair for walking and climbing. 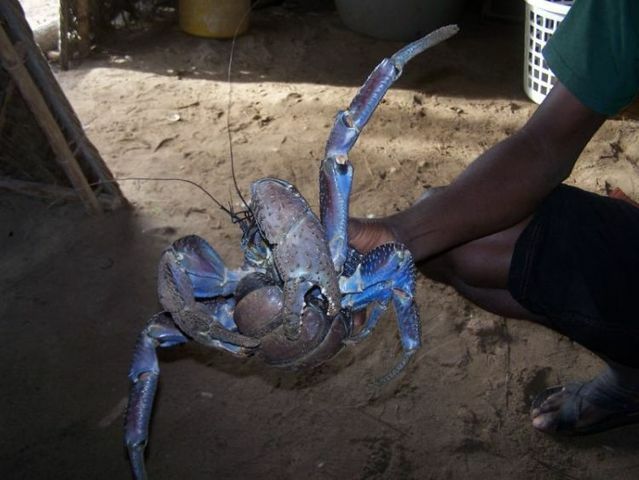 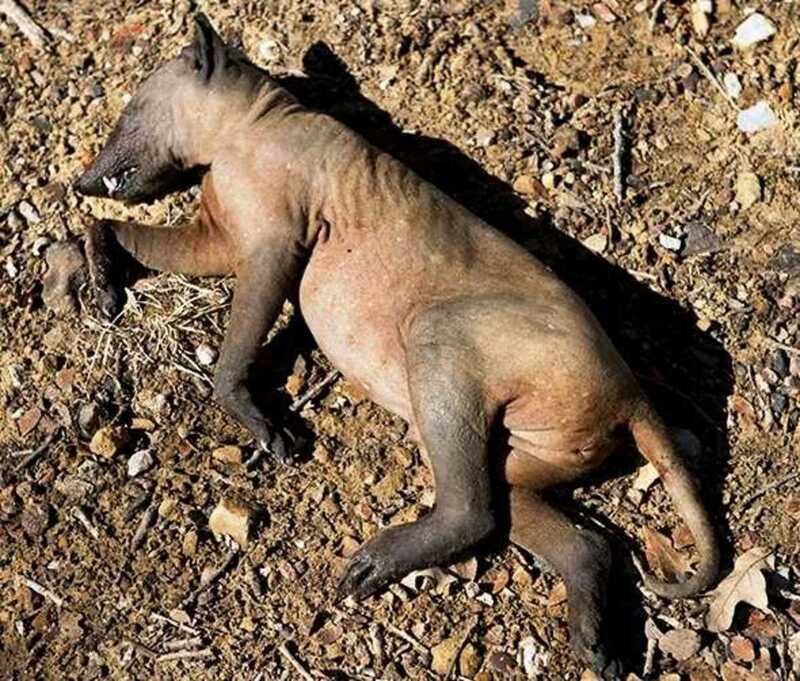 The last pair of legs is very small and is used by females to tend their eggs, and by the males in mating. 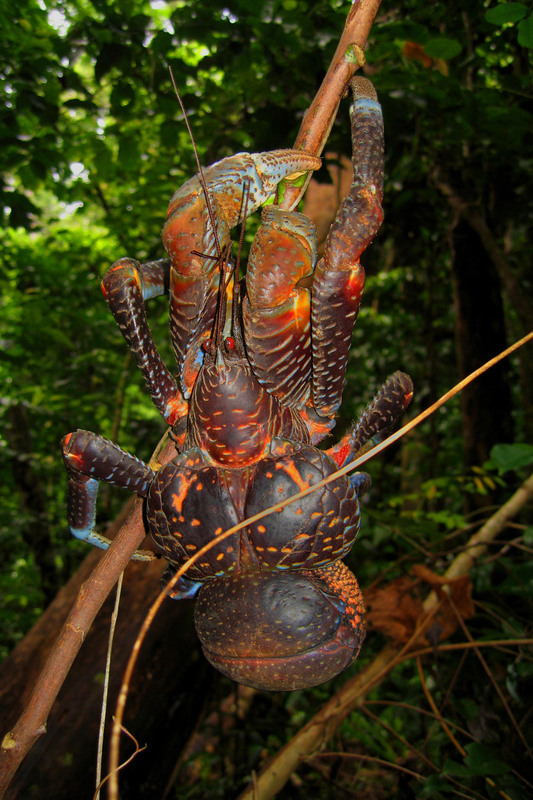 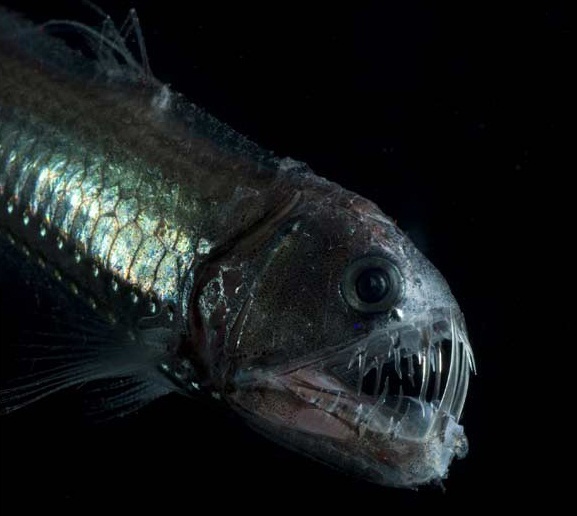 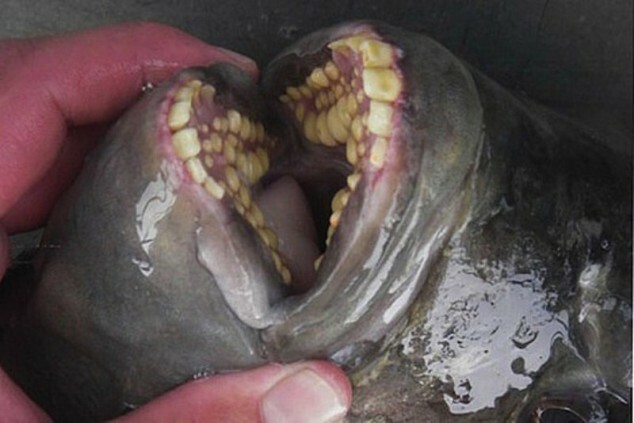 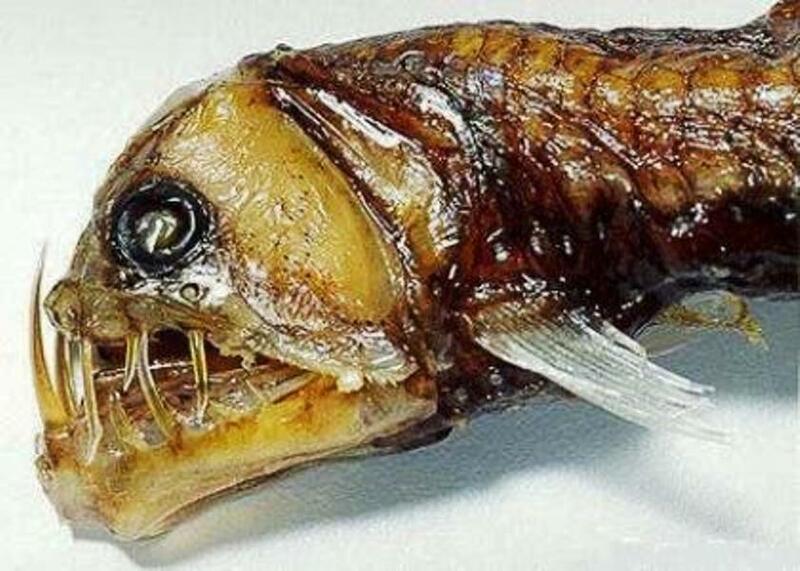 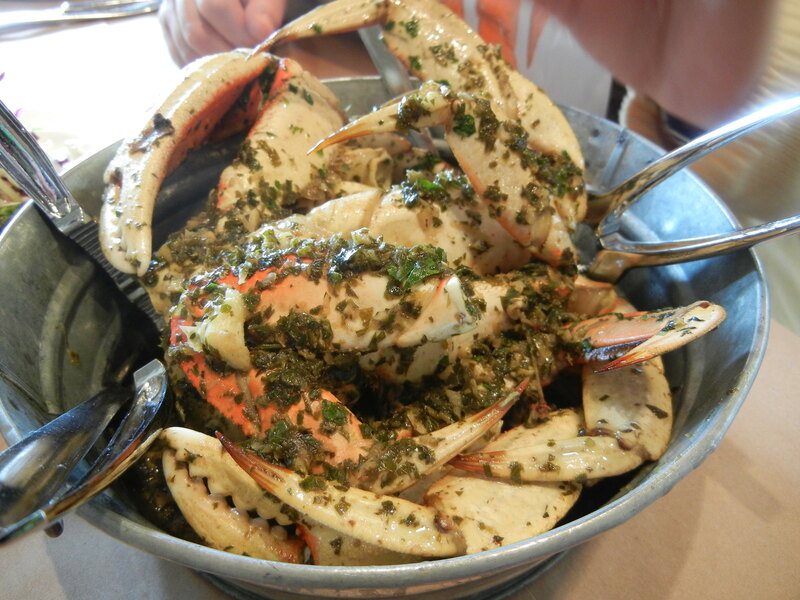 This last pair of legs is usually held inside the carapace, in the cavity containing the breathing organs. 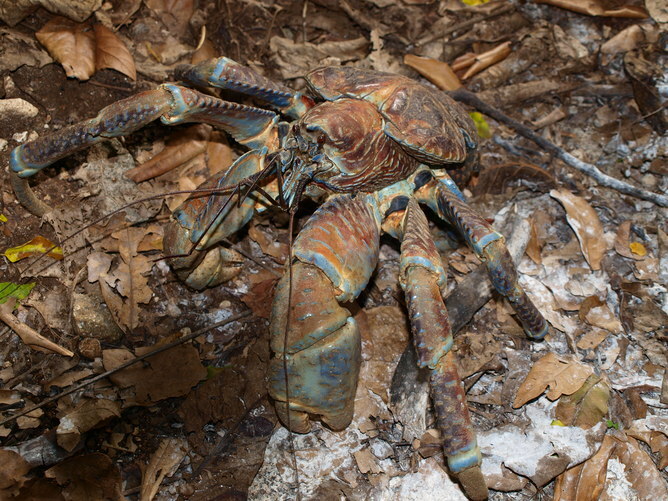 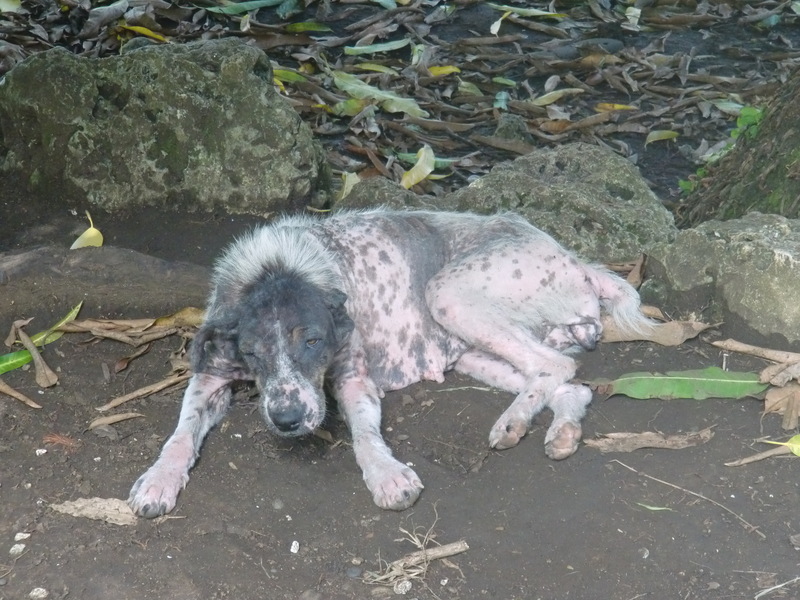 Some difference in color occurs between the animals found on different islands, ranging from orange-red to purplish blue; in most regions, blue is the predominant color, but in some places, including the Seychelles, most individuals are red.